For some of us, baking is something we only do on special occasions, as all those muffins and baking goodies you buy during the week can add up to bulging credit card statements at the end of the month. So, to keep your muffin habit undisturbed, we picked up the top 25 US baking blogs over the web. Now make your goodies at home and shave down your food budget. Read on to indulge your sweet tooth and cravings for bakes. With the leader in the baking world, King Arthur Flour, America’s oldest flour company teaches us what a bag full of flour can do. You will be surprised to know what you can do with the flour. It shares recipes and baking tips for traditional and gluten-free bakers. This website was also named Best Culinary Website 2016 by International Association of Culinary Professionals. You will get the expert tips, favorite recipes and step by step photographs for the most delicious baked goods here. It is worth spending your weekend on. Minimalist Baker was created in 2012 and since then it is entertaining your craving for ravishing dishes, baking goodies. Here you will find delicious vegan recipes most of which are gluten-free. Minimalist Baker shares a plant-based recipe which requires 10 ingredients or less, 1 bowl, 30 minutes or less to prepare. So, its recipes are easy and quick to prepare. Its coolness and creative ideas have made it on the list of top baking blogs. Enjoy new recipes with a mixture of savory and sweet which includes desserts, breakfasts and more. 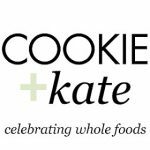 Cookie and Kate is a food blog that is dedicated to bringing real and delicious food to the table. It is all about real and sustainable food that delights the senses and nourishes the body. Kate blogs celebrate whole food so temptingly. It is a healthy vegetarian food blog that offers creative and approachable recipes. Kate’s blog is full of amazing photos and she makes delicious healthy food. Cookie and Kate food blog was even nominated for Saveur’ Best Food Blog 2012. Let Kate indulge your thoughts with bakers, desserts dinners and more. 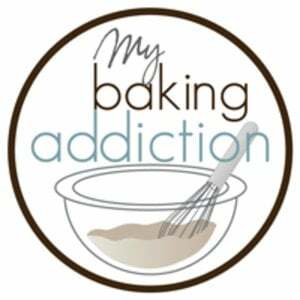 Sallys Baking Addiction is fun and adventurous baking blog for everyone. Whether you are a beginner starting to learn the basics of baking or someone who always look for new recipes to learn. Sallys Baking Addiction is what you want. The popularity of Sallys Baking Addiction has skyrocketed since its inception in 2011. Don’t miss this baking blog if you really want to fill up your plates. It was named as one of the Top 10 Food Blogs to Watch in 2013 by Huffington Post. The recipes you will find here are inspired by the people and places. The blog is full of amazing recipes to be tried and tested. The blog was started in 2012 and since then it has been featured on The Cooking Channel, Food Network, Shape Magazine, and The Huffington Post. It was named Readers’ Choice Favourite Food Blog by Better Homes and Gardens in both 2014 and 2016. It was also the recipient of Saveur Magazine’ 2016 Award. You will find here unique, fun and creative recipes for everyone in the family to enjoy. 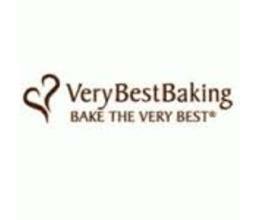 Very Best Baking has free recipes and baking inspiration from Nestle Toll House, Carnation, and Libby’s Pumpkin baking products. Here you will get inspired to bake the very best tasty recipes featuring Nestle Tolls House and Milk products. The amazing recipes of Very best cooking include gluten-free, seasonal, cakes, pies and a lot more to worth spending your weekends on. Very best baking is incredible for a simple reason and is so tempting. Don’t miss to check out the top baking blogs now. We bet you won’t be able to decide what to try first. Brown Eyed Baker is a food blog which is dedicated to baking and easy comfort food with the amazing and original photography. This blog includes a collection of recipes everything from appetizers, drinks to main dishes desserts. The recipes are so easy to cook and bake that anyone can make. Be it savory, sweet or anything. Whether you are living away from your home, the brown eyed baker blogs seam reachable to everyone and you can bake everything that you want with these blogs. Chocolate Covered Katie is one of the most popular healthy dessert blogs. It is labeled as The Next Nigella Lawson by World Health Magazine. Katie’s blog has been featured by CNN, ABC, People and The Huffington Post. This blog has been voted as number one for its healthy and comfort food recipes. It’s not at all surprising, as the delicious recipes have a personal touch that makes Chocolate Covered Katie too hard to ignore. There is a lot to be seen and admired here and plenty to be baked and relished. I am Baker is fancy and flamboyant which is totally tempting and slurpy. The blog was started in 2009 and since then it has gained immense love from the people. Now you can enjoy beautiful desserts and learn how to bake them with new creative ways. Whether you crave sweet, savory, decadent pr seasonal, check out here hundreds of dessert recipes to satisfy your taste. Feel free to use all those cake recipes and desserts, bread, cookie ideas in interesting combinations and a lot more. Crazy for Crust is baking for you with a slice of life. If you are the one who does no bake all alone, crazy for baking then for sure Crazy for crust will make you do it yourself. After looking at all the sumptuous recipe at one of the top baking blog, we bet you will go crazy for baking. Crazy for Crust offers desserts that are sometimes crazy often with a crust and always served with a slice of life. 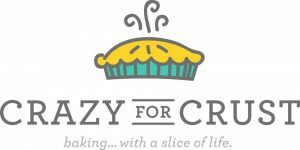 Crazy for Crust has been featured in Woman’s World Magazine, CookingChannel.com, Buzzfeed and many more. The Country Cook has simply home cooked recipes that are family friendly, budget-friendly and delicious! These recipes are simple to follow with everyday ingredients. This blog is quite generous with its offerings and also in appearance and manners. That is the presentation of the recipes here is simply amazing! 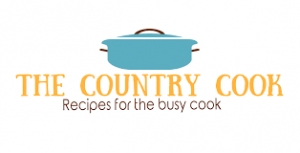 The interesting fact about the Country Cook is that the kind of recipes it presents comes packed with the most creative ideas and fascinating names. The ultimate goal of this blog is to help reconnect families over a meal that is so easy to prepare. 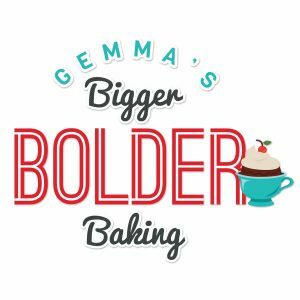 Chef Gemma Stafford’s Bold Baking blog is all about taking risks in the kitchen and being confident that you can create the best results. Whether it is over the top desserts or one-minute microwave mug meals. Bigger Bolder Baking is your No.1 baking destination. Bake boldly with confidence. The mission of Gemma and her blogs is to create a culinary legion of bold bakers of all ages and experience levels who are excited and ready to create amazing meals and baked goods using her “Bold Baking” recipes. My Baking Addiction is a treat! It is a power-packed baking blog with three important ingredients- modern, delicious, and addictive! With all these ingredients it would be impossible for you to resist yourself from baking. My Baking Addiction was started in 2008 for home bakers. The blog’s popularity can be attributed to Jamie’s unique food presentation, scrumptious photography and her genuine love for baking. The primary goal of the blog was to make accessible Jamie’s techniques to the home bakers to improve their sweet treats. The Fresh Loaf is a community of amateur bakers and bread enthusiasts. It was founded in 2005 and the ultimate mission of its blog is to share the love of bread recipes, lessons, reviews and so on. 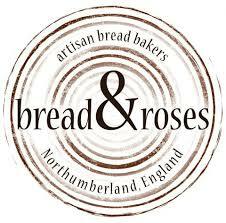 The Fresh Loaf was awarded the UK Organic Food Organization’s 2010 Award for baked goods. There are hundreds of baking recipes and lessons are posted on the website. Look around and you will surely find something interesting! Pick those lessons and grab all the recipes for varied tastes. David Lebovitz is a well-known food blogger from Paris. He ensures that you always stay loaded with the recipes for every mood and every taste. His blogs overflow with the top quality accessible bakes which you would expect from someone who has trained at the top patisserie and chocolate making schools of France and Belgium. David Lebovitz was named one of the Top Five Pastry Chefs in the Bay Area by San Francisco Chronicle and has been featured in Bon Appetit, Cooking Times, Chocolatier, People, Saveur, USA Today and many more. Joy the Baker, also known as Joy Wilson has become the US household name. She is a trained and professional baker who learned baking from her father. Her exceptional talent with both the camera and mixing bowl with the entertaining writing style has endeared her to countless fans and make her a popular name in the baking world. There are a wide variety of recipes available on her website. To give you a glimpse, there are ice cream sandwiches, pies, cookies, pound cakes and much more. Baker by Nature has innovation in its ingredients. Ashley Manila is the writer and the photographer behind the blog Baker by Nature. She is an avid lover of early morning baking, dark chocolate, and yoga. She firmly believes that homemade life is a happy life. Her blogging mission is to provide her readers with the foolproof recipes and inspiring ideas that will help them to celebrate life and create lasting memories with the people they love. So, don’t forget to check out this amazing baking blog now. Amy’s Healthy Baking provides you easy baking recipes for all occasions. Amy’s Healthy Baking blogs focus on healthy food by publishing almost exclusively low-fat chocolate recipes, with emphasis on clean- eating: nothing refined or processed! It also focuses on only the best and nutritious recipes with growing number of vegan and gluten-free options. Amy is a well –known author of the cookbook “Healthier Chocolate Treats: Breakfast, Snacks & Desserts for Every Chocoholic”, which is perfect for all chocolate lovers. Don’t forget to check out the top baking blog now. Also Read: What are the Top Best Chef Knives used by professional chefs? Bakerita was started in 2010 and has become one of the top baking and dessert blogs that has more than 250 unique and original recipes that are easy to prepare and always delicious! Browse through these recipes that have tons of cookies, brownies, bread, cakes, muffins and so much more for you to learn and enjoy. With all these tantalizing recipes, your mouth is going to be tempted enough. All new Bakerita recipes are gluten-free, dairy-free and refined sugar-free. Don’t miss a single recipe! 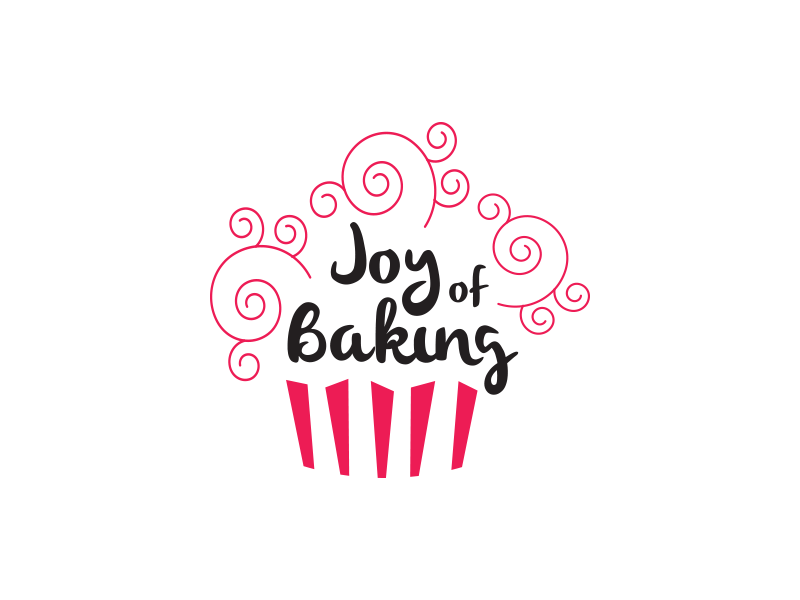 Joy of Baking was started in 1997 and offers twenty years of award-winning dessert and baking recipes. There are hundreds of dessert and baking recipe videos for you to indulge yourself in, from cakes, doughnuts to pies, and cookies to ice creams and much more. 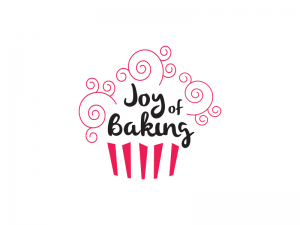 Joy of Baking is a four-time winner of the 2015 Taste Awards in the following for categories: Best Single Topic Series, Best Food Program Web, and Best Instructional Web Series, Best Home Chef in a Series. Texanerin Baking was started in 2011 and since then it is delivering delicious and nutritious baked goods. The aim of this blog is to create simple, healthier recipes that most importantly taste yummy as the original versions. The recipes here are Paleo, grain-free, gluten-free and most of them are also dairy-free. All these recipes just taste as sinful as their unhealthy counterparts. Erin, the writer, and photographer behind Texanerin is a well-known author of the book “The Sweet Side of Ancient Grains”. Check out the blog now and never miss the delicious recipes. Started in 2008, Completely Delicious has now become the top baking blog now. This awesome and one of the best baking blog has maintained to add sweetness to our lives by getting a little sweeter every day, since its inception. Annalise is a food blogger, recipe developer, and sweet tooth addict and she is a fond of baking new dishes and recipes. The website offers an amazing collection of baking recipes, photographs and tips, and tricks on how to bake. The Cake Blog celebrating cakes since its beginning in 2008. 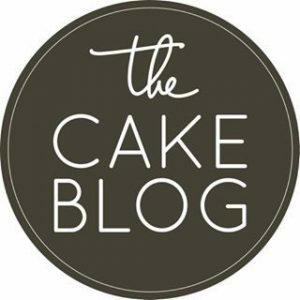 The Cake Blog is a community of bakers, cake makers, and friends who love sharing everything and anything you ever wanted to know about cake. Carrie’s work has been published on the cover of Country Living Magazine. She has also been featured on popular websites such as People, Buzzfeed, Seventeen, Redbook, and DIY Network, TLC, Real Simple, Country Living, Glamour and many more. If you are looking for beautiful cake inspiration, you must The Cake blog. The Beyond Frosting blog is known for creative cupcakes, cookies, and frosting. The blog was started in 2012 and focuses on easy to create cakes. Julianne who is the voice behind the Beyond Frosting is crazy and obsessed with desserts and snowboarding. She is the author of the best-selling cookbook “No-bake treats”. Her blogs go beyond traditional desserts with a distinctive and contemporary take on classics. She has been awarded 2014 Better Homes Award and was also the winner of Gardens Ultimate Baking Challenge. 365 days of Baking and more is a food blog that began in 2011 and is offering an exclusive platform for sharing the everyday recipe for life and excite you about food. This blog is a lot about baking every day of the year amazing dishes that will boon your baking skills. It has a wide variety of food here on the blog- main dishes, plenty of desserts, snacks and more to choose from along with smoothies and other beverages. The aim of this blog is to inspire the readers by simple, easy and delicious recipes and travel adventures. Here we end our amazing journey of top baking blogs and cruising through the sweetness of goodly goods and bakes. Just try them out and don’t miss a single recipe.